Style Source Magazine | Rusk Plumping Mousse 8.5 oz. 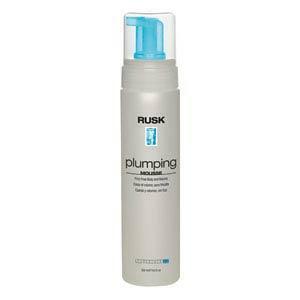 Home /	Brands / Rusk Designer Collection / Rusk Plumping Mousse 8.5 oz. Plumping Mousse Frizz-Free Body and Volume is a liquid to foam styler that provides fine and limp hair with maximum fullness. Firm-holding formula provides long-lasting hold and frizz control without stickiness or buildup. Ideal for defining and creating curl separation.